Happy Hans’ Music is proud to have been entertaining audiences of all ages throughout the Pacific Northwest and beyond since 1976. 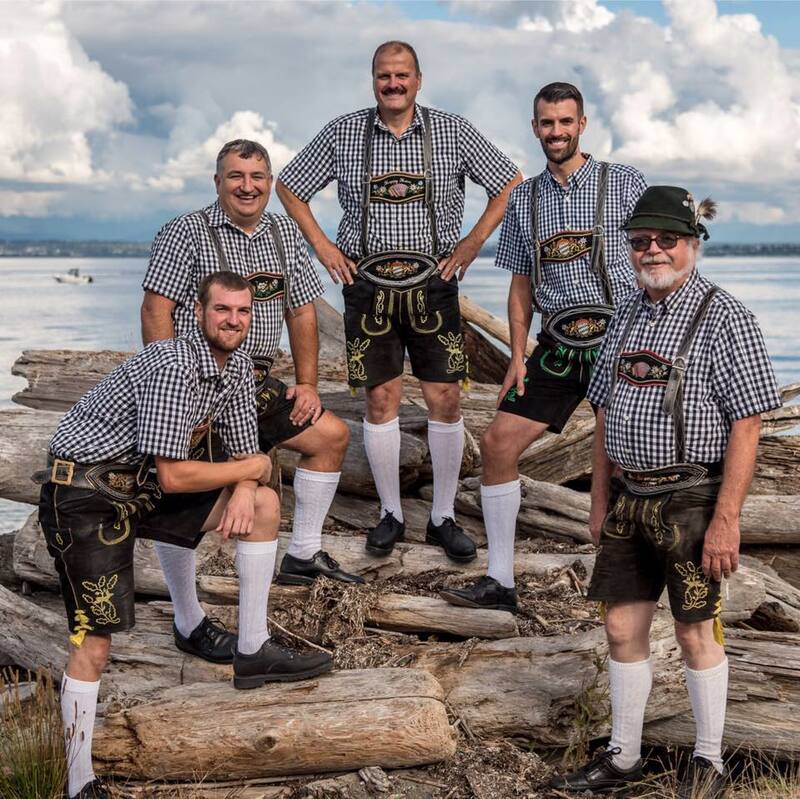 Their unique blend of authentic "old-time" German/Austrian music mixed in with popular "sing-along" classics have been a part of many special occasions. Of course, Oktoberfest has always been the band's specialty playing many of these each year. The group, now in its third generation, loves interacting with the crowd and helping create a fun time for all. The band is led by Hans Rainer ("Happy Hans") on Button Accordion, Trumpet, and Vocals. The other members feature Kory Tideman on Guitar, and Vocals; Erik Rainer on Baritone, Bass Guitar and Vocals; Karl Rainer on Drums, Trumpet, and Vocals; and Eric Watson on Drums and Ratschen. Our music also features much alpine yodeling. Want to book for your next event? We would love to hear from you! Happy Hans is available to play for your own Oktoberfest, birthday parties, work events or next holiday party.